In this project, we use a Grove DHT (Digital Humidity and Temperature) sensor as a Raspberry Pi temperature sensor. 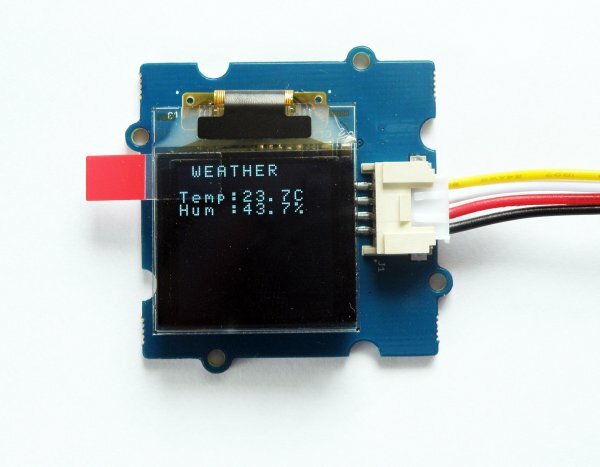 This project uses a Grove OLED display, connected to the Raspberry Pi, to show the temperature and humidity. 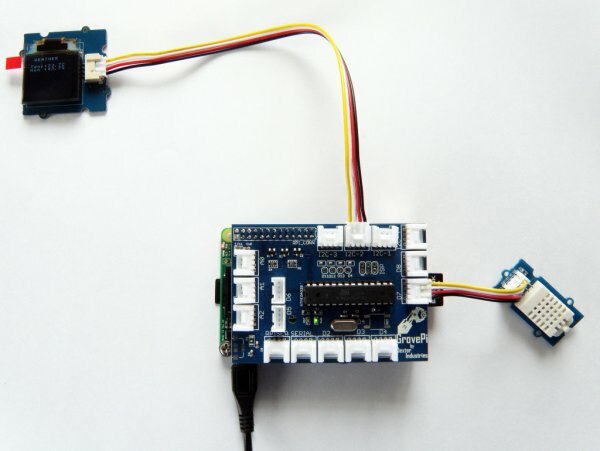 You can use this project as designed: a simple weather station for your home. Connect the DHT sensor to Port 7 and the OLED display to any of the I2C ports. Now power on the Raspberry Pi. The OLED display will start showing the live temperature data and humidity data from the DHT sensor.